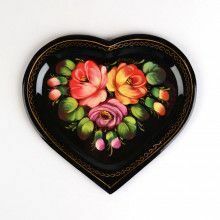 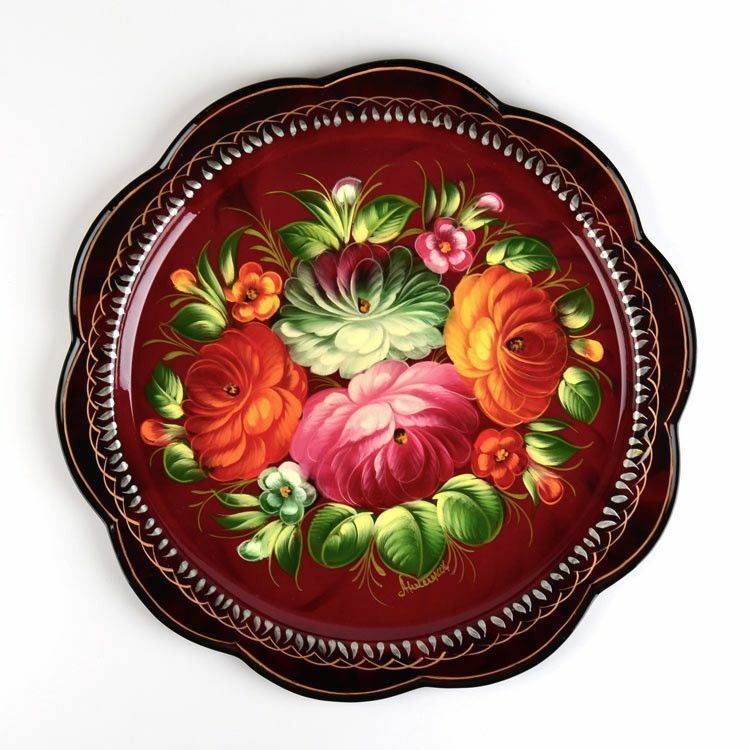 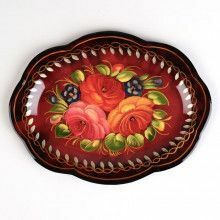 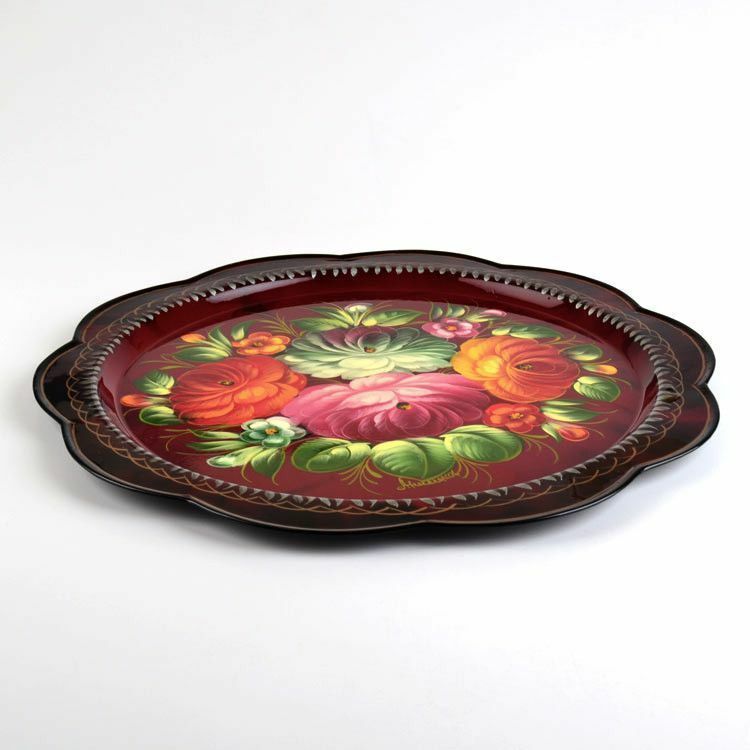 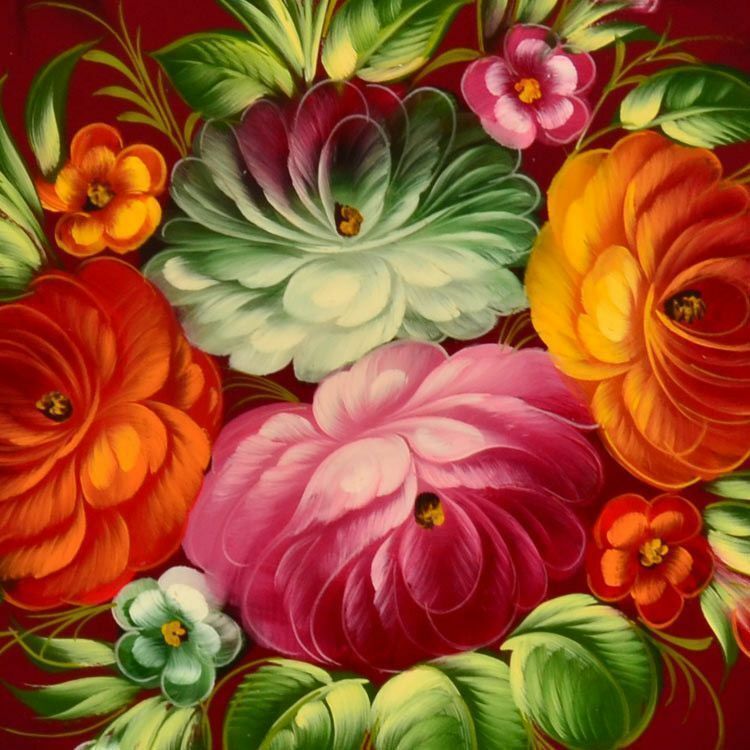 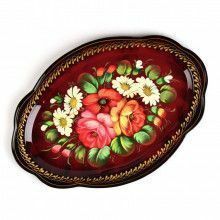 This metal platter is Approximately 13" in diameter and it showcases a wonderful floral arrangement that was hand painted by a Russian artist. 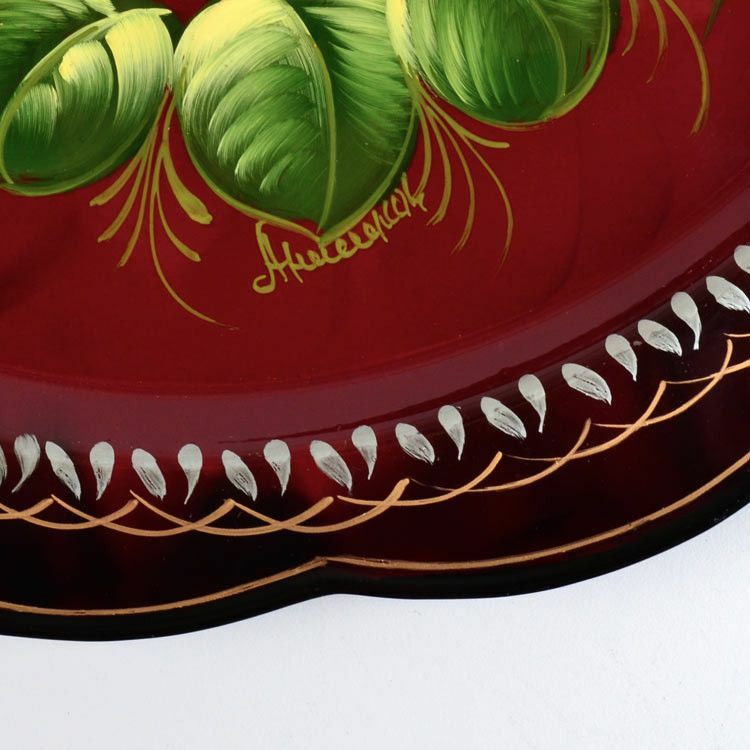 A gold and silver border decorates the scalloped edge and the front is signed by the artist. 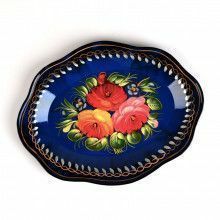 Use Zhostovo trays for a unique decorating piece and/or serving all types of food!